Redesigned from the ground up to deliver more of everything we’ve come to know and love about the RAV4. Whether you’re going out to the beach, on your way to a soccer game, or just cruising through the streets of Miami, the RAV4 delivers. The NEW 2019 Toyota Rav4 features a 2.5-liter inline four-cylinder that produces 203 horsepower. The best part is its Direct Shift 9-Speed Electronically Controlled Automatic Transmission, it’s incredibly smooth and drastically improves the drive quality over previous models. 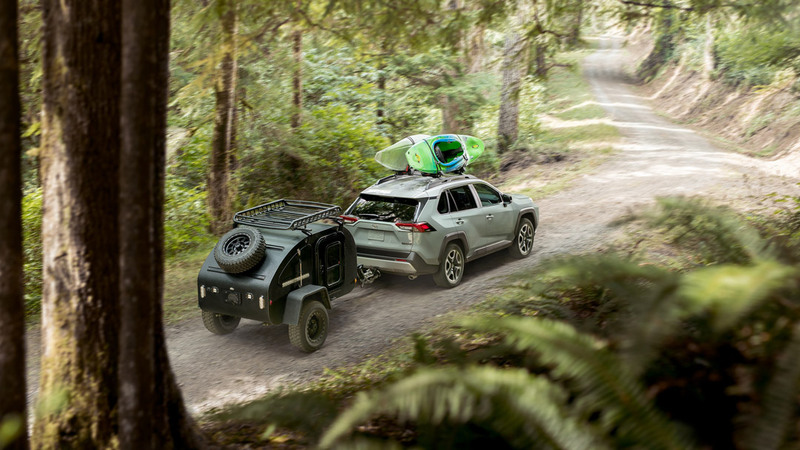 The new Rav4 is powerful, luxurious, and versatile and is great for driving around Miami, and even going on adventurous excursions into the everglades. These are great for those drivers that love taking their Rav4 out for more than the typical drive. Every model of the Rav4 comes with different styles, and sizes of wheels that match the car’s personality. You’ve also got the choice between 17 inch wheels and 19 inch wheels, depending on your needs, there’s a Rav4 for everyone. Every model of the Rav4 comes with great standard features that sets it apart from its competition. Every Rav4 comes standard with a rear view camera, lane tracing assist, dynamic radar cruise control, a 7-inch touch-screen, and much more. You’ve also got the option to upgrade to many of the other great modern safety features. 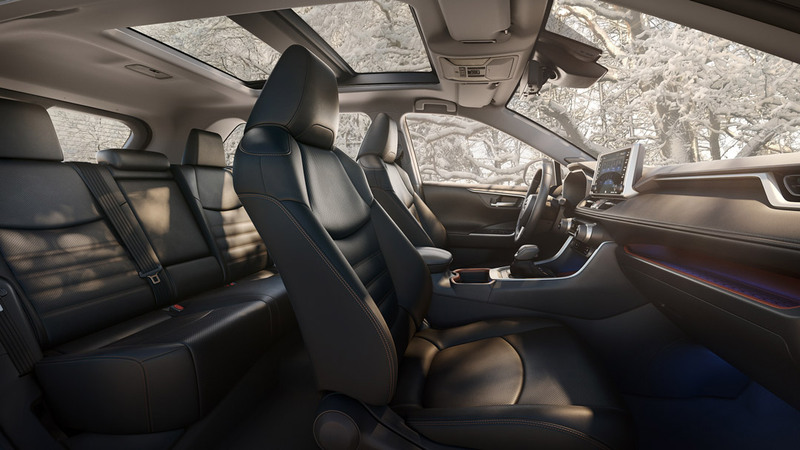 The new 2019 Rav4 comes standard with the latest in safety technology with Toyota Safety Sense 2.0 . This means better vehicle stability control, 8 airbags, trailer-sway control, hill start assist control, and anti-theft system with engine immobilizer. You also have the option to upgrade to features like blind sport monitoring, and intelligent clearance sonar.